The Barn Magical Holiday Shopping Experience! Let’s face it…the Holidays can be stressful!! Shopping, cooking, cleaning, parties and family visits (to name few things) all make up the Annual Holiday Experience and they can leave us all feeling a little on edge and tense. However, every Holiday season is special for one reason or another….watching the eyes that sparkle when someone opens a present, the giggles that come from a little too much champagne, the laughter of family around the dinner table or enjoying the fruitcake that actually tastes good for a change…. but I’m sure it is a rare person who ranks Holiday shopping at the top of their ‘special list’! I am not a mall person…I have never really liked the big box experience. A lot of these malls are huge and very impersonal. Not only that, but do you ever get the feeling that the gifts you buy at those big malls are just not that unique? I know it has crossed my mind that the sweater I bought for my Mother at a mall might also be under the tree at her neighbor’s house. I have walked down many a mall corridor looking in the stores and wondering if anyone would even notice that I even entered or much less spent a few precious minutes looking at merchandise I just saw a few doors back. I always leave these places feeling drained and, many times, disappointed with still having a list a people to buy a gift for. This is not a festive experience….this is a chore. Holiday shopping for the people we care about should not be a chore…it should be a happy experience that puts a smile on our faces! If we are going to go out and brave the elements, find the elusive parking space and spend our hard-earned money on gifts, it should be a pleasant and magical experience!! Right? 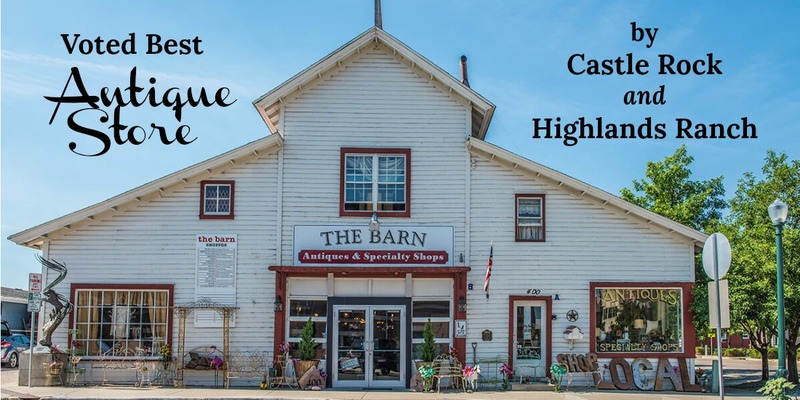 Have you been to The Barn Antiques and Specialty Shops yet? If not, you NEED to check it out! If you are already a Loyal Barnie Customer, then you know what I am about to say. When you visit The Barn in Castle Rock, Colorado this Holiday Season (or at any time) it will be a happy ‘experience’…not a chore. 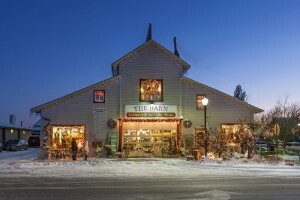 The Barn is made up of almost 30 different small businesses from your local community offering unique and sometimes hand-made items to complete your gift-giving list. When you walk into The Barn you will be noticed and welcomed with a warm smile and even a cup of coffee or a bag of our freshly made popcorn. You can then browse at your leisure while not feeling rushed, or pushed or ignored…..In fact, you may lose track of time and find that you have been shopping for a few hours and still feel like you are enjoying yourself…actually ENJOYING Holiday shopping!! 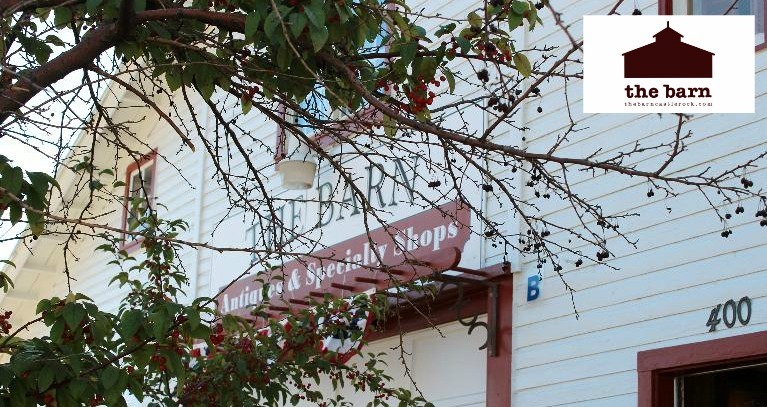 Stop by and visit us this season and put your Holiday Shopping at the TOP of your ‘special list’…The Barn has something for everyone and we have a magical shopping experience waiting for YOU! Absolutely love the shelf I got their the other night – also love the LIGHTS IN OLD TOWN CASTLEROCK!